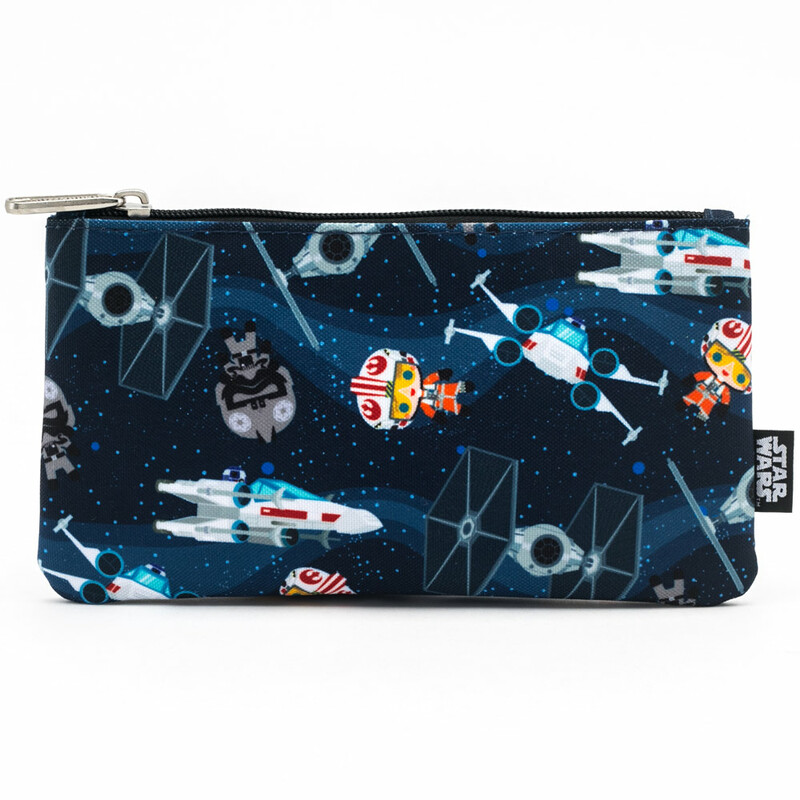 Loungefly, a contemporary accessory company, is known for their inventive approach to design, for taking familiar characters or scenes from intellectual property such as Star Wars and turning them into unique patterns that elevate fan style. StarWars.com spoke with Todd Keller about the company’s approach to the Star Wars universe, working with fan feedback, and their holiday releases. 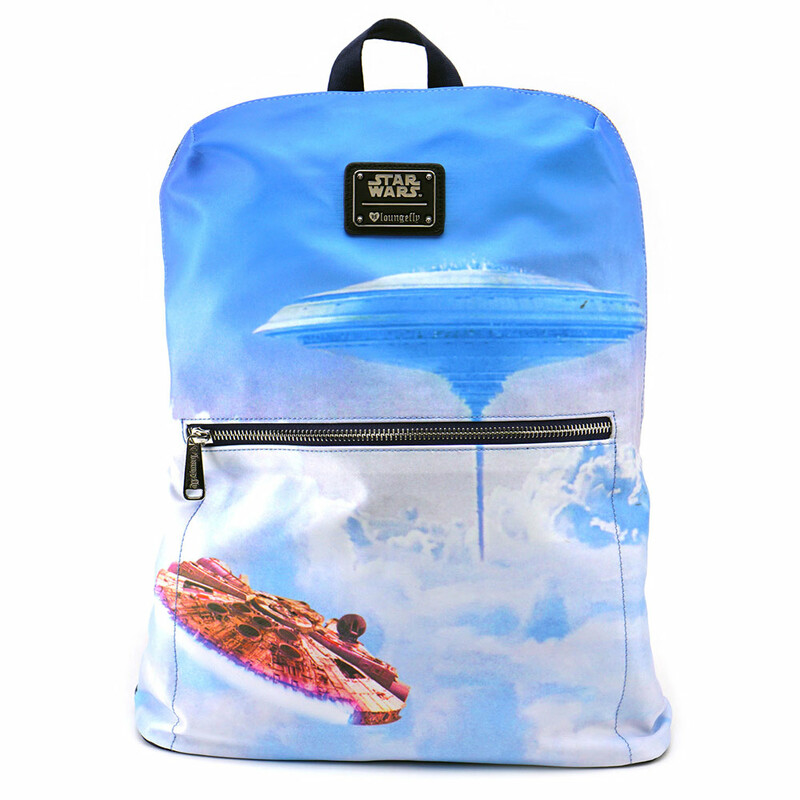 StarWars.com: You’ve been working at Loungefly for a year and half. Have you worked with the Star Wars brand the entire time you’ve been there? Todd Keller: Yes, the whole time, but since before I even got here, I was a buyer on the other side of the business for seven or so years. That means I was very familiar with the brand and the aesthetic when I came on board. But I was really tasked to turn it up to 11. Being a huge Star Wars fan and identifying other huge fans in the office to help work on the product really helped. StarWars.com: And what is your personal history with Star Wars? Do you remember the first time you encountered the saga? Todd Keller: It has a direct correlation to my dad; it was my dad’s favorite movie growing up and he had so many stories of going to see it so many times in the theaters. My personal memory is watching them with him on VHS. When the prequels happened, I remember him taking me to see it in the movie theater in 1999 and being blown away — the podracing and Obi-Wan Kenobi! Oh my gosh, I thought it was the coolest thing I’d ever seen. StarWars.com: With Star Wars, you have so much material to pull inspiration from, and then you have the challenge of putting a fresh spin on it. What is Loungefly’s approach to making products to catch fans’ eyes? Todd Keller: I think an important part of Loungefly is finding really niche things our consumers really like and enjoy about the brand and executing to it. For example, our chibis that we’ve become known for — especially in Star Wars — we expanded on that whole art style. I realized it was going to be the 20th anniversary [of Star Wars: The Phantom Menace], and we should do something, so our illustrator took the time and did all Episode I characters and it did really, really well. And then, it’s about taking a really fashionable approach to it. Loungefly’s always been fashionable, but I pride myself on that and being up on the trends. It’s taking those things that are trending and those silhouettes that are very important in the marketplace, and then translating them into product that can be sold to everybody at more of an accessible price and especially people who are Star Wars fans. StarWars.com: What’s the process like to determine what sort of designs you’ll be working on next? Todd Keller: We work with a really, really great team at Lucasfilm We’ve had monthly creative calls where we update them on our ideas and what we’re thinking, and also any ideas they’ve seen out there. The number one thing is collaborating with them because they know anything and everything about Star Wars and then anything and everything that would get approved. On our end, them giving us the kind of creative freedom to come up with those ideas is nice on its own. When you have such huge fans of that whole universe, and you can hone in on those little special things — that’s really what makes the best product. StarWars.com: Star Wars does have a huge number of fans with wildly different tastes and opinions. Do you consider feedback from fans when you’re considering what to work on next? Todd Keller: We do. We love for people to write in and to call in and give us feedback; we’ve had projects come out of customer feedback emails. Things like people saying… Like we had a purse on the line a couple years ago that was minimal in design on the front, but it had a really cool lining. We actually got, I kid you not, three or four emails of people writing in saying, “Can we get a bag just of this lining because this lining is cool?” We really do listen and pay attention, and we made a bag out of that lining print. Then inside the conventions, we get great feedback on all the cosplay stuff. That is something new and fun people have been really gravitating towards; they love Darth Vader, but they don’t necessarily want a Darth Vader helmet on their back. They want a Darth Vader [item] looking like it could look like his outfit or maybe even something he might carry on his back, versus something so literal. We’re trying to expand on that. We actually have some really, really special stuff coming for Star Wars Celebration in April. StarWars.com: Before Celebration in April, Loungefly has some new items for the holidays, including an Ewok design on a canvas fabric. Do you consider the type of fabric and texture for each bag? Like in this case, giving it a more natural feel. Todd Keller: Totally. 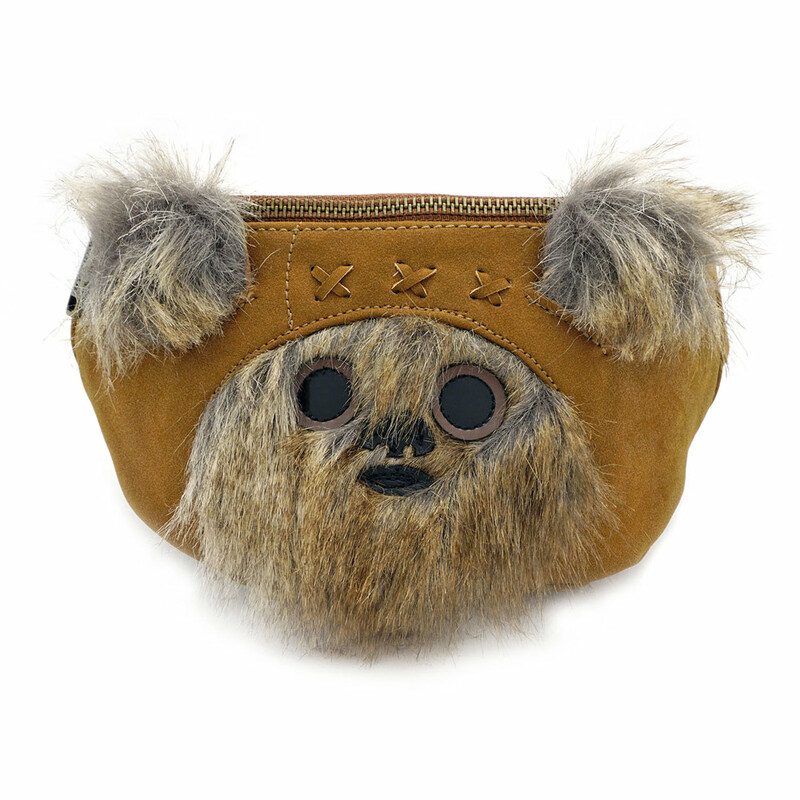 The Ewok one is a perfect example of something that we needed with some texture, because our previous styles were in a faux suede and had some fur, and they were more literal with the little cute Ewok face. We were like, how can we keep this texture and still make it look like it makes sense for that kind of forest-y print? So we landed on this really nice, heavy gauge canvas, and then we trimmed it with the same faux suede we used on the other Ewok backpack that did so well. 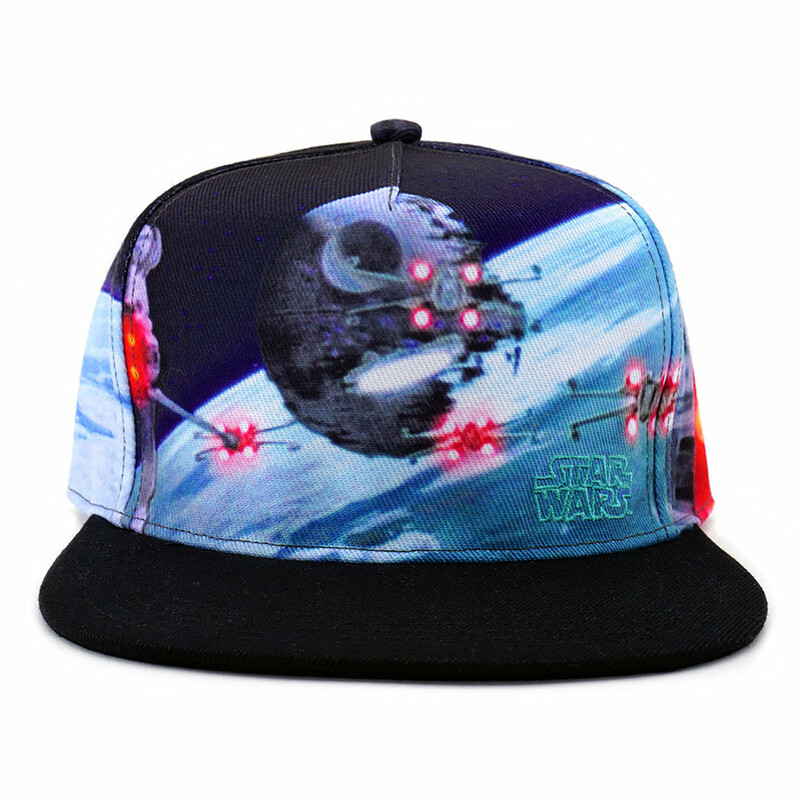 StarWars.com: And similarly, you have the new Star Wars Landscapes series on a satin fabric that really seems to make the designs pop. How did this collection come about? Todd Keller: Star Wars has the most beautiful landscapes in cinema. We hopped on the phone with Lucasfilm, and I tried to explain my idea as best I could with some imagery and they loved it. We were able to pull some really great imagery out of the archives and place it on product. Going back to the materials, we did two pieces for women in the collection and we decided to do a satin. It’s great for a holiday time period, and it’s also great for the digital printing. So all the stars aligned, no pun intended, on that one. 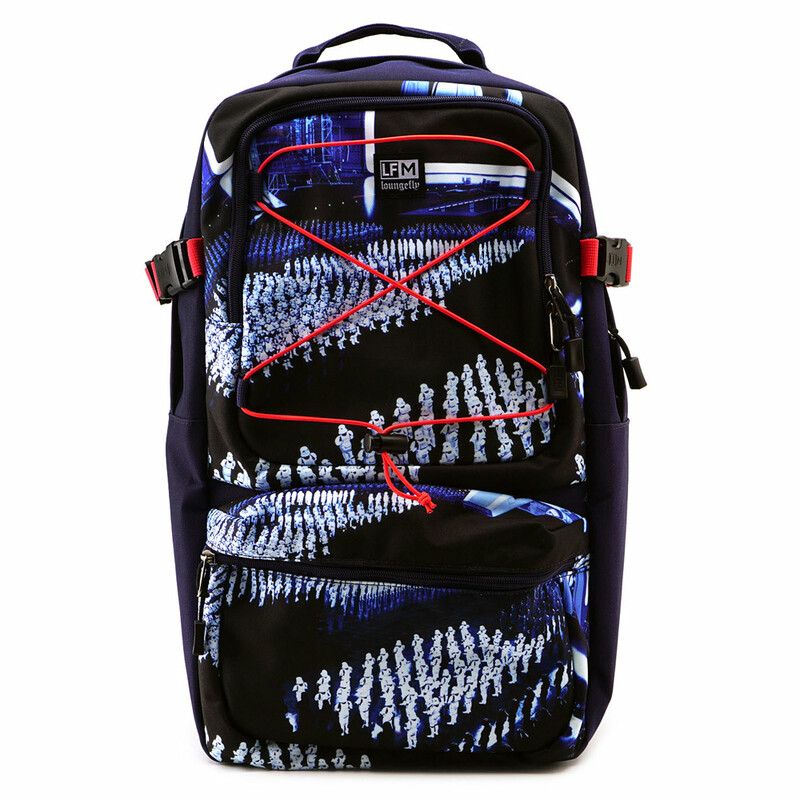 Then for the men’s line, my favorite is the backpack with the Imperial design. You have a bird’s eye view into the Imperial ship with all the stormtroopers lined up and it’s such an iconic scene. Then using that, we used a red bungee cord, which is really popular right now in men’s backpacks, to round out that story of the Empire and the Sith. 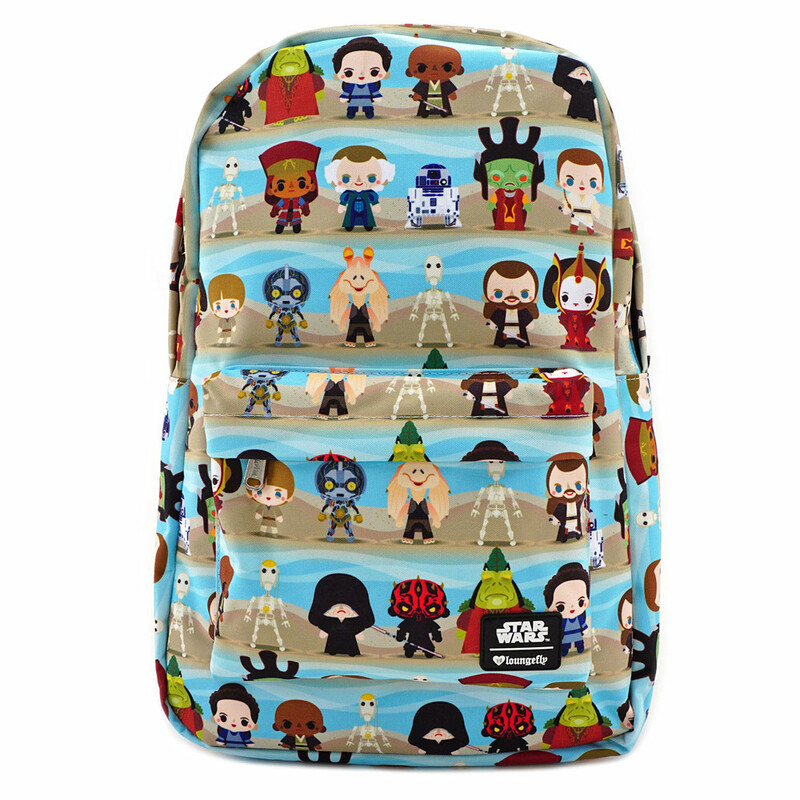 Loungefly’s Star Wars Landscapes collection will be exclusively available from ThinkGeek and GameStop. Shop their other designs at a retailer near you or at Loungefly.com. Amy Ratcliffe is obsessed with Star Wars, Disneyland food, and coffee. She’s the author of Star Wars: Women of the Galaxy and a co-host of the podcast Lattes with Leia. Follow her on Twitter at @amy_geek.